Carmen Valles, right, said after nearly four days with no power she is leaving the Gibson Plaza Apartments with her 90-year old mom. Guided only by the red glow emanating from emergency exit signs and his cell phone's flashlight, Gerald Tinker, navigates up and down the stairwell of his apartment building. Tinker, 67, said the Gibson Plaza Apartments in Coconut Grove have been without electricity since Saturday, nearly four days. Residents at the mixed-income complex for people over 62, said they were told a backup generator would kick in should the power go out. Tinker said it's one of the reasons the apartments were appealing to him and many others when they were searching for a home. The power outages caused by Hurricane Irma around South Florida are certainly inconvenient, but for senior housing facilities it adds an additional layer of frustration for tenants who may not be mobile or have the ability to walk up and down stairs for an extended period of time. Tadd Schwartz, a spokesperson for Pinnacle Housing, which manages the building said the generator was never intended to provide full electrical services for the building, but it is supposed to provide power to wheelchair accessible doors, lights and the elevator. 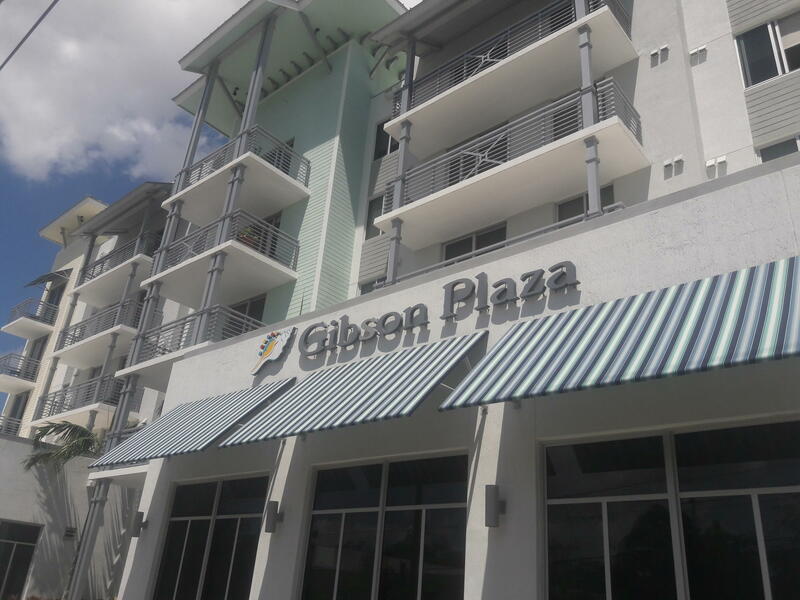 "The safety of our residents at Gibson Plaza is always our first priority, which is why we activated our pre-storm protocols well before Hurricane Irma’s impacts arrived in Miami. Residents were encouraged to heed evacuation orders and those who remained were notified in-writing and in-person that elevator service would be shut down on Saturday September 9th, in advance of the approaching storm," said Syrie Ortiz, vice president of Professional Management Incorporated, which manages the property. By Tuesday afternoon, he said power was restored to the building. 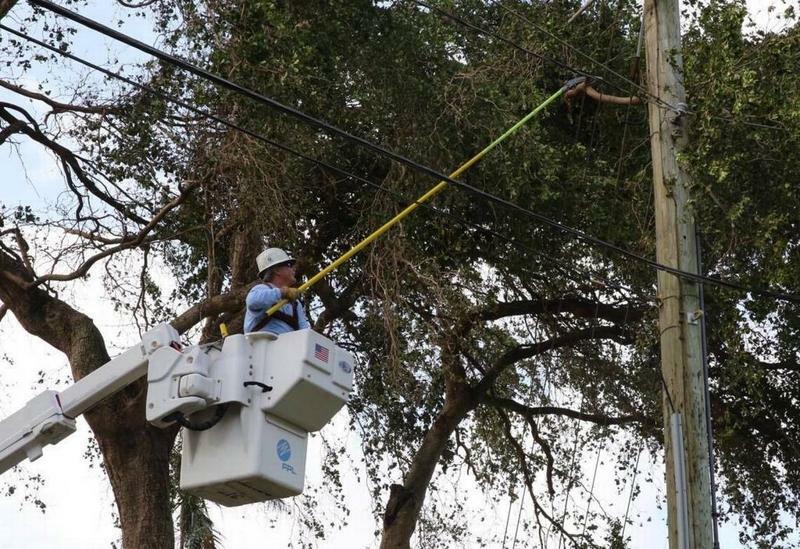 WLRN could not reach residents independently verify if they had power Tuesday afternoon. On Tuesday morning there were no lights in the hallways and the elevators were not working. Outside the building, Alfredo Hernandez said he was with a generator repair company. He said he was there to take a look at the generator to see if it was working. The room that houses the generator was locked and he was having difficulty getting in touch with someone from the building's management because of shoddy cell phone service. 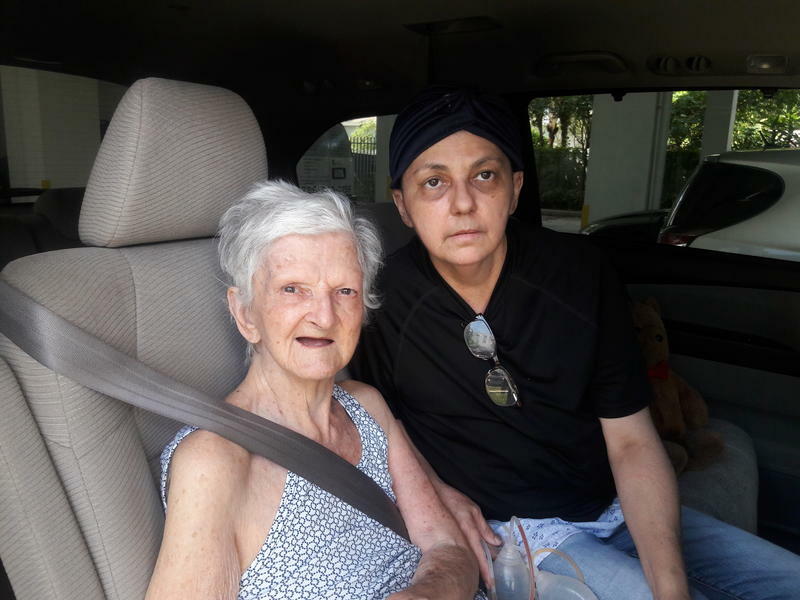 Nearby Carmen Valles was helping to get her 89-year old mother Caridad Bouza into a mini van. Her mom had to be carried from her wheelchair by a nurse. Her mother's nurse offered to take them into her home where there is power until the complex has it's power restored. “She’s an angel, she’s an angel, believe me,” said Vailles, who is battling breast cancer and had a mastectomy surgery last week. Miami City Commissioner Ken Russell, who represents Coconut Grove, brought much-needed ice for the residents in the neighborhood, but for many at Gibson Plaza who didn’t think they had to stock up on non-perishable foods or backup batteries, it’s been a rough few days. “Where’s the people running this, why aren’t there here?” asked Edgar Dixon, 67, who has been living at Gibson Plaza since it opened in January 2016. “You’re paying so much money to stay here and then they tell you these things you’re going to have and then you find out you don’t have [them],” he said. 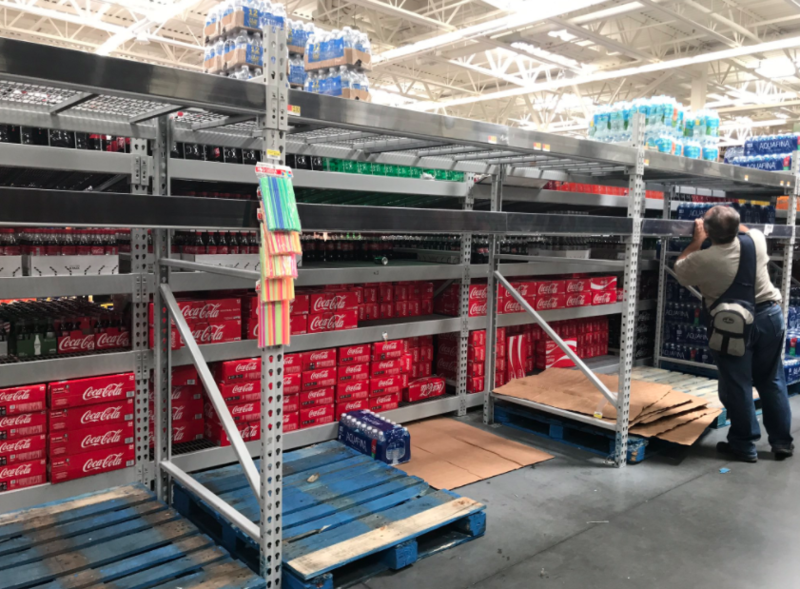 Dixon’s brother brought him some canned goods to replenish his supply, but Rachel Blanton, 71, said she’s running low and might have to find food at nearby fast food restaurants in order to eat. “I keep praying every day that it might come the next day, we might get the power on,” said Blanton. She said she was texting her daughter in Texas, but she doesn’t know if the texts went through because cellphone service was going in and out. On Monday, Lilly Blakely’s neighbor Ms. Shirley started to have pains. Neighbors believe she was suffering from some sort of heart problem. Emergency workers had to carry her down the stairs from her third floor apartment to get her to the hospital. “It’s been hot and uncomfortable,” said Blakely. Note: This story was updated at 8:30 a.m. to clarify that the Gibson Plaza Apartments in Coconut Grove do not host residents with medical needs. It is independent living in apartments for seniors. Also, an updated response from the building's management company has been added. Florida Power & Light officials say it could be more than 10 days before power is restored to all customers who are in the dark due to Hurricane Irma. FP&L spokesperson Rob Gould said restoration to nearly all customers in the eastern half of the state should be completed by Sunday night. The company expects power to be restored to western Florida — more heavily damaged by the storm — by Sept. 22. Miami-Dade County has lifted the daily curfew it imposed Sunday after Hurricane Irma. The 7 p.m.-7 a.m. curfew will not be enforced Tuesday night, county spokesman Michael Hernández said. The city of Miami also did away with its curfew Tuesday. Some cities, however, still have curfews set to give cleanup crews more space to work on restoring power and hauling away fallen trees and other debris. 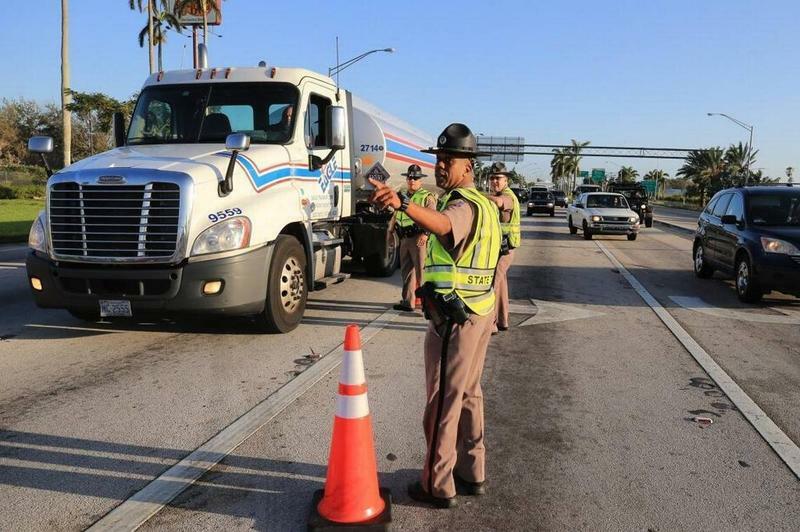 Monroe County, home to the hard-hit Florida Keys, set a dawn-to-dusk curfew Tuesday to keep people away from dangerous roads and let cleanup teams drive in.